We compare quotations on behalf of our clients from an extensive panel of leading insurer partners (many of whom are listed below.) Our strong relationships with these providers enable us to arrange tailored cover at highly competitive premiums. We have provided brief descriptions and policy wordings for a selection of our key insurer partners across our most popular insurance product lines. Simply click on one of our relevant insurer partners in the list below to learn more about them and to find links to their policy wordings. Please feel free to contact us if you require policy documents that are not currently provided on this page. Arista Insurance is a commercial insurance provider specialising in property, liability and motor insurance protection for businesses throughout the UK. Dedicated to providing commercial insurance through regional brokers, Arista does not deal direct. Aviva provides around 34 million customers worldwide with insurance, savings and investment products. They are the UK’s largest insurer and one of Europe’s leading providers of life and general insurance. AXA UK, a wholly owned subsidiary of AXA SA operates AXA Insurance and underwrites a wide range of general insurance products, mostly in the intermediated market, where they specialise in Personal and Commercial Lines. Axa are the third largest commercial insurer and the the seventh largest home insurer. Collingwood Insurance Services (UK) Ltd is a fast expanding insurance intermediary specialising in Taxi Insurance. Collingwood Insurance understand the taxi industry and offer niche products designed to accommodate the needs of public and private hire drivers. The Collingwood Insurance proposition is backed up with modern and efficient systems, and business and claims processing from UK based service providers. MMA became Covéa Insurance in October 2012. Covéa are one of Europe’s largest mutual insurance groups. Both MMA, Provident and Gateway Insurance are now part of this major European insurer established over 170 years ago. Eridge Underwriting Agency Limited has recently been formed to cater for the specialist end of the Motor Insurance Market. Their personnel have significant experience in their chosen sectors and only deal with a select panel of Brokers who specialise in these sectors – ensuring protection for both client and Insurer. As well as Motor Trade Road Risk and Taxi insurance Eridge Underwriting also manage products for higher premium Private car and Small CV’s. All products are underwritten by Gable Insurance AG. Euna is the European underwriting division of Epsilon Group. They work with insurance brokers within the UK and European. They connect SME businesses across Europe to underwriters with local market knowledge, who provide the best solutions to their insurance needs. So the new way to broaden your horizons: think local. Kingsway Claims are motor accident claims management specialists. Their services include arranging: vehicle repairs, replacement vehicles, personal injury compensation and reimbursement of out of pocket expenses. Their aim is to ensure that the whole claim process is dealt with swiftly and fairly and to take away the hassle of you having to deal with it yourself. 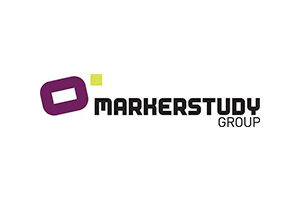 Established in 2001, the Markerstudy Group comprises Underwriting and Distribution divisions that provide a wide range of motor insurance policies, under various brands, throughout the UK. Markerstudy provide comprehensive and accessible personal lines insurance solutions to over 150,000 policyholders, employ more than 400 members of staff throughout the UK and Gibraltar and generate annual revenues in excess of £300 million. Markerstudy Insurance Company Limited is registered in Gibraltar and Authorised and Regulated by the Financial Services Commission of Gibraltar in accordance with European Union Legislation. NIG specialise entirely in commercial insurance – and nothing else, their highly experienced underwriting teams are completely focused on identifying and understanding the continually challenging risks faced by small and medium enterprises throughout the UK. NIG work exclusively through a network of over 2,200 insurance brokers, collaborating closely with these partners to deliver the cover, services and support you’d expect from a national organisation at a local level. PolicyPlan provides specialist insurance cover through a panel of carefully selected UK insurance brokers. Winners of the 2013 and 2014 Insurance Times Tech Awards, PolicyPlan offers distinct value for businesses and consumers through innovative system efficiency. TFP Schemes was established in 1998 to provide a solution for difficult to place motor business. Their portfolio of niche products are all supported by their long term capacity provider Aviva Insurance. We recommend visiting here if the TFP policy wording you’re looking for is not found below. Tradewise Insurance Services Ltd is based in North London, but is owned and backed by Tradewise Insurance Company Ltd in Gibraltar. Through a nationwide network of independent insurance brokers, Tradewise offers a range of industry leading products specialising in insurance for Motor Traders and Private Hire. Zenith Marque Insurance (formerly known as Chaucer) is based in the UK. They are dedicated to providing UK motor and commercial insurance solutions providing high quality targeted product lines via a nationwide broker network. Zenith Marque’s products are focused on the UK private car market, covering fleets, family fleets, motor trade, specialist and bespoke motor schemes in addition to commercial offerings, covering Employers’ Public and Products Liability.